(Hicksville, NY January 29, 2013) – CQ magazine will be adding a monthly international news column as of its April edition, magazine editor Rich Moseson, W2VU, announced today. It will be coordinated by new International Editor Tom Smerk, AA6TS. "A growing number of our readers and our fans on social media are from outside the United States," noted Moseson, "particularly with the addition of our digital edition, which eliminates the high cost of international postage." "We'll be calling the column 'CQ World Wide,' " Moseson continued, and our goals will be to both better serve our international audience and to bring more news of ham radio activities around the world to our prime reader base in the U.S."
Smerk lives in Dulzura, California and has been active in ham radio off-and-on since 1988. For the past 25 years, he has taught business information technology for the San Diego Community College District. He is also a professional musician and formerly taught music as well. Tom enjoys 2-meter communications to keep in touch with friends during his commute to and from work; and after work, he can usually be found on the HF bands enjoying both voice and digital communications. 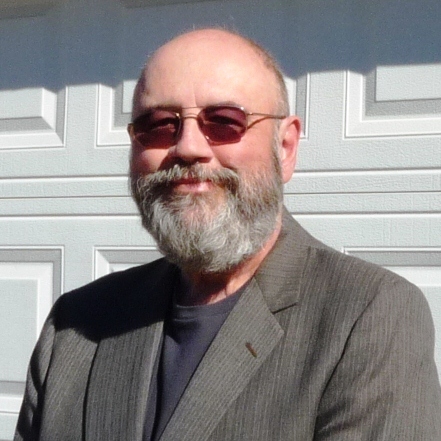 Tom has written on various topics including business management, music and ham radio. He is active in ARES®, SKYWARN®, RACES, California Disaster Corps and CERT, and is a volunteer examiner as well. A committed lifelong learner, Tom’s greatest joy is helping new hams enjoy the hobby. Hams with news of events and activities outside the United States are urged to contact Tom at <aa6ts@cq-amateur-radio.com>. Students interested in applying for scholarships administered by the ARRL Foundation have only until February 1 to submit their applications. The ARRL Foundation administers more than 70 scholarships, ranging in value from $500 to $10,000. Information and applications are available from the ARRL Foundation website at <http://www.arrl.org/scholarship-program>. The cost of mailing a first-class letter, a postcard or a package within the United States will increase on January 27, as will the cost of flat-rate Priority Mail packages. First-class postage rises to 46 cents for the first ounce and postcards will now cost 33 cents each to mail. The ARRL Letter notes that this is the third hike for postcards in less than two years. The US Postal Service will also be introducing a "Global Forever Stamp" to complement its current domestic version, which will remain valid for one ounce of international postage regardless of future rate increases. The initial cost of the Global Forever Stamp is $1.10. Youth and adult members of the Boy Scouts of America who hold FCC amateur radio licenses may now wear a special "rating strip" on their scout uniforms. According the the ARRL Letter, the strip recognizes the Scout or Scouter’s availability as an Amateur Radio operator for communication services for events and activities, as well as emergencies. This follows last year's introduction of a Morse code interpreter strip. The U.S. Senate has confirmed President Obama's re-nomination of Mignon Clyburn as an FCC Commissioner. It will be her first full five-year term. 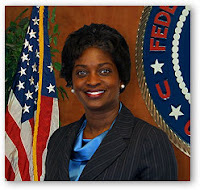 Clyburn was initially appointed in 2009 to fill an unexpired term. Calling her re-appointment "an extraordinary honor," Clyburn said she was "humbled" by the Senate's confirmation. Her appointment is retroactive to June, 2012, when her initial term expired. ARRL VEC Manager Maria Somma, AB1FM, reported that the ranks of amateur radio operators in the United States have continued to grow at a "healthy" clip, ending the year 2012 with a record-high 709,575 licensees. According to the ARRL Letter, Somma said the number of new licenses issued in 2012 was more than 3000 higher than in 2011, and that amateur radio in the U.S. has grown by 7% in the past four years. The fourth call district continues to be home to the greatest number of hams (140,000), followed by the sixth call area (100,000). The National Defense Authorization Act for Fiscal Year 2013 -- passed by Congress in late December and signed by President Obama on January 2 -- removes a restriction that has essentially shut down international cooperation for building amateur satellites in the past decade. Under the old law, satellites and their component parts were considered to be "munitions" and their export to other countries was severely limited. This made it impossible for amateur satellite organizations in different countries to work together on major projects (for example, the last big amateur satellite, Phase 3D, was built jointly by AMSAT groups in the U.S., Germany and other countries). The new law restricts satellite exports only to China, North Korea and countries identified as state sponsors of terrorism, as well as those under trade embargoes. A recommendation from the departments of state and defense said the old law impeded the ability of American satellite builders to work with international partners while "providing no noticeable benefit to national security." The FCC's proposals for implementing the final acts of the 2007 World Radiocommunication Conference (WRC-07) -- including two items of interest to amateurs -- is moving along toward its comment deadlines. The initial comment deadline is February 25 and reply comments will be accepted until March 27. According to the ARRL, the items relating to ham radio are proposals to upgrade the amateur radio allocation in the top half of the 160-meter band (1900-2000 kHz) from secondary to primary, and a section seeking comment on whether a new secondary amateur allocation at 135.7-137.8 kHz would be compatible with power line carrier systems used by utilities to monitor and control the power grid. The proceeding is ET Docket No. 12-338, and the ARRL says paragraphs 13-24 are the ones relating to ham radio. AMSAT-NA reports that its main <www.amsat.org> website was the victim of a cyberattack in mid-January. The amateur satellite organization said some of the website's data, including non-public information, was posted on other publicly-available websites. However, it said neither the AMSAT store nor the Fox project website were compromised and @amsat.org e-mail service was not affected, either. To protect against the possibility that unwanted or illegal material was uploaded to the website at the time of the attack, the main website was shut down and an upgrade effort that was already in progress was accelerated. There was no word at press time as to when the site would again be fully functional. The AMSAT News Service reports that the organization has received a matching fund challenge of up to $25,000 from an anonymous donor to help encourage contributions to the Fox satellite project. Fox is expected to be launched by NASA later this year, and while the launch itself will be free, contributions are still needed to pay for costs of development and construction. An Australian ham who's spending a year working in Antarctica is planning to put a 6-meter beacon on the air as well as operating HF and satellites. 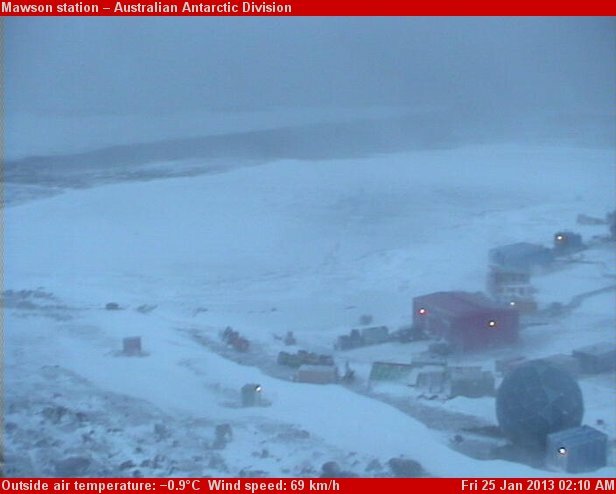 Mid-summer at Australia's Mawson Station in Antarctica. to set up a 6-meter beacon as well. The AMSAT News Service says Craig Hayhow, VK6JJJ, will be working at the Australian Antarctic Territory station at Mawson, and will be operating ham radio in his spare time at VK0JJJ. He is expected to arrive on February 10. The 6-meter beacon, VK0RTM, would be used to test propagation from Antarctica on the "magic band." 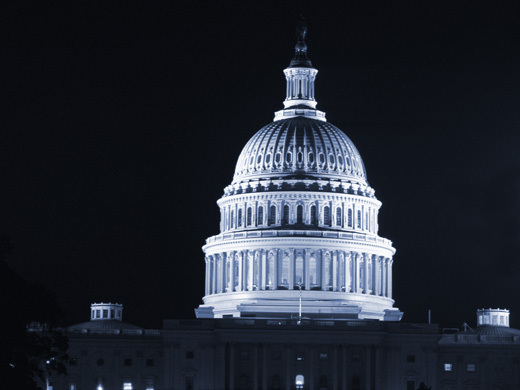 The FCC is proposing the creation of a "Citizens Broadband Service" on 100 MHz of the 3.5 GHz band to accommodate "small cell and database technologies." According to Newsline, the proposed service would operate between 3550 and 3650 MHz and would include three "tiers" of service: "Incumbent Access," which would protect current users of the band, including the Fixed Satellite Service and certain federal users; "Priority Access" for specific users such as hospitals, utilities or state/local governments; and finally, "General Authorized Access," which would permit "opportunistic use … for a variety of residential, business and enterprise purposes." Providers using the new service - if it is created - would need to be licensed, and the Notice of Proposed Rule Making -- FCC 12-148 -- says they would be licensed under Part 95, which currently governs CB, the Family Radio Service (FRS) and the Multi-Use Radio Service (MURS). Comment deadlines had not been announced as of press time. (Hicksville, NY January 22, 2013) – Renowned DXer, DXpeditioner and contester Wayne Mills, N7NG, of Jackson, Wyoming, has been named CQ magazine's DX Editor, magazine Editor Rich Moseson, W2VU, announced today. 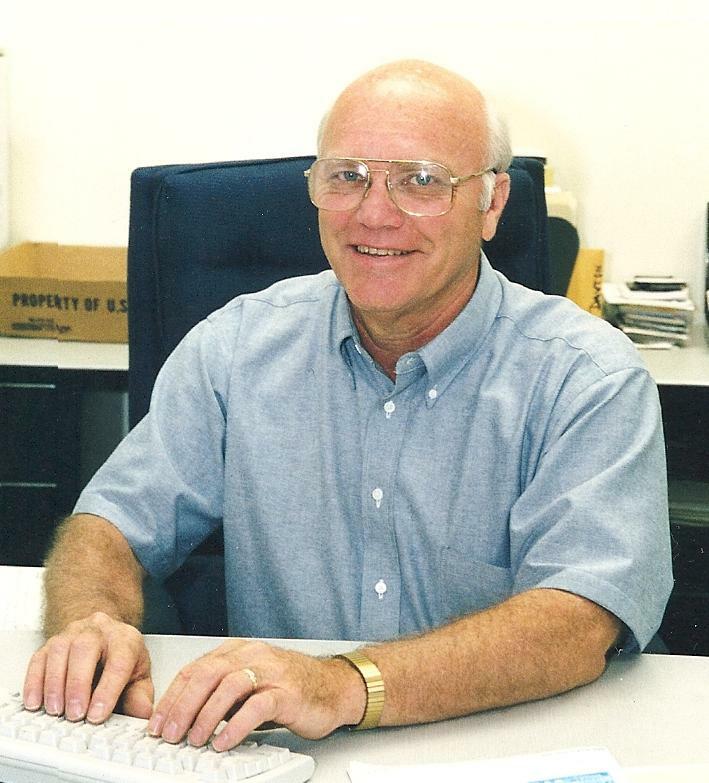 Mills - a 1999 inductee into the CQ DX Hall of Fame - succeeds Carl Smith, N4AA, who has stepped down after writing the magazine's DX column for 13 years. "I am looking forward to working closely with Wayne," said CQ Editor Rich Moseson, W2VU, "and to sharing with our readers his depth of knowledge and first-hand experience with so many aspects of DXing. We at CQ also thank Carl for his many contributions to the magazine and to all of amateur radio over the past 13 years. We wish him all the best in the future." (Hicksville, NY January 14, 2013) – Ron Ochu, KO0Z, of Girard, Illinois, has been named Beginners Editor of CQ Amateur Radio magazine, Editor Rich Moseson, W2VU, announced today. He will begin writing the "Learning Curve" column as of the April 2013 issue. Ochu succeeds Rich Arland, K7SZ, who stepped down after a decade of writing various columns for several CQ Communications magazines. Ochu is a recently-retired high school English teacher and ham radio license instructor. A ham since 1974, he has held an Extra Class license since 1982. His ham radio interests include DXing, antennas, VHF/UHF/SHF, RTTY and contesting, but notes that "nothing beats a good, down to earth ragchew with a fellow ham." In addition to ham radio, Ron enjoys photography, reading and spending time with his grandchildren. His wife, Debbie, is KC9ULA. CQ Editor Rich Moseson said, "I am looking forward to working with Ron. His wide-ranging interests and experience both as a teacher and in working with new hams should be just the right formula for the 'Learning Curve' column, which is aimed both at new hams and at more experienced hams learning new aspects of the hobby." "My hope is to encourage readers to discover and to experience, first hand, the many many avenues for growth and personal satisfaction that our hobby makes available," said Ochu. "I hope that my passion will be evident and perhaps even a little contagious!" CQ Now on Twitter - Follow us! 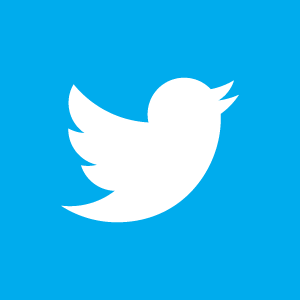 CQ magazine has opened a Twitter account, which will be used to alert followers to news and other information of interest to amateur radio operators. 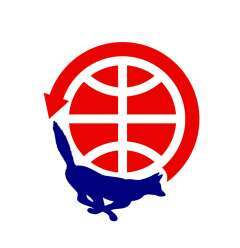 All are invited to follow us at @deCQCQCQ. The WRO-Pop'Comm January 2013 Live Internet Chat will be held tonight, Sunday, January 13 beginning @ 8 p.m. Eastern time (0100 UTC Monday). Visit: <http://www.WorldRadioOnline.blogspot.com/ >. Hope to see you there.